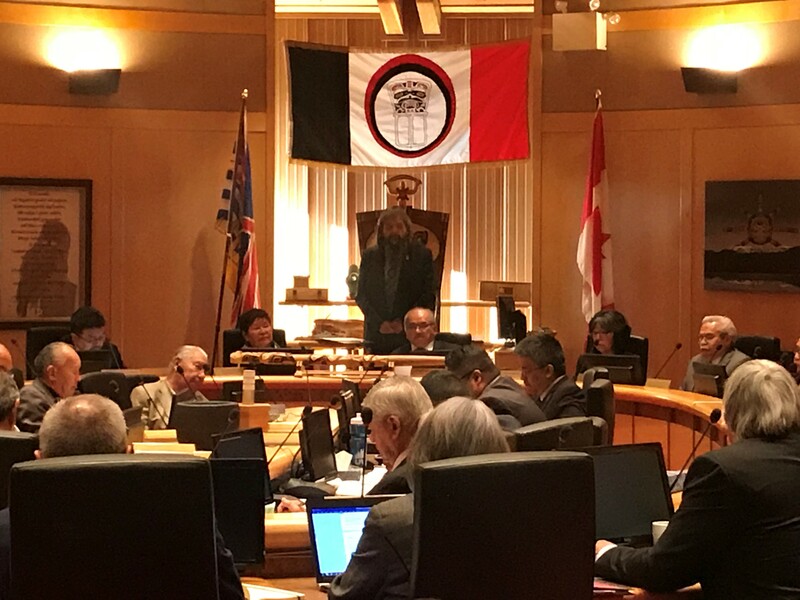 Wilp Si'ayuuḵhl Nisg̱a'a (WSN) is in session this week with the motion to pass the 2019-2020 Provisional Budget of the Nisg̱a'a Nation as its primary agenda item. The House also entertained the election of Speaker and Deputy Speaker this morning. Kevin McKay - who was recently elected as Councillor for Lax̱g̱alts’ap in a by-election, was elected as Speaker of the House and incumbent Deputy Speaker Claude Barton maintained his role as Deputy Speaker by acclamation. In his opening statements Speaker McKay thanked the House for the vote of confidence and acknowledged the service of Deputy Speaker Claude Barton who has filled the role of acting Speaker since the untimely passing of late Speaker Craig McKay. Speaker McKay then acknowledged the leadership and service of late Speaker Craig McKay and also acknowledged his family and wilp in supporting him in his years of public service.